Did you watch American Idol last night? Supposedly it was Country Week featuring Dolly Parton and The Clark Brothers. But after Dolly sang a song off her new album called, Jesus and Gravity, and The Clark Brothers sang their country version of This Little Light of Mine, I was wondering if we should call it Jesus Night! Now, granted, in this Postmodern age, Jesus' name is brought up quite often especially in country music lyrics. And just because his name was sung about and talked about doesn't mean a whole lot. After all, our culture loves to talk about Jesus. He's all over the media. We like Jesus. We just don't want him to be King. He's fine as our warm fuzzy friend who's there to pick us up when we're down. But don't make him more than that. Don't make him more than a nice, moral teacher who we can learn from and get things from when we're in a bind. 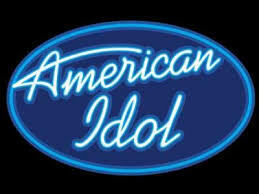 I find it interesting that on a show called American Idol, Jesus himself can be an idol. The Jesus that people paint in their own minds and sing with their own lyrics in front of millions. "I've got all I need, Jesus and gravity, He's my friend, He's my light, He's my wings" (from Dolly's song, Jesus and Gravity). And "Jesus on the mainline, tell him what you want" (from The Clark Brothers version of This Little Light of Mine). What do you think? Am I being too harsh? What was your reaction to the show?